NextThe Flanders Poppy: A symbol of remembrance and sacrifice. 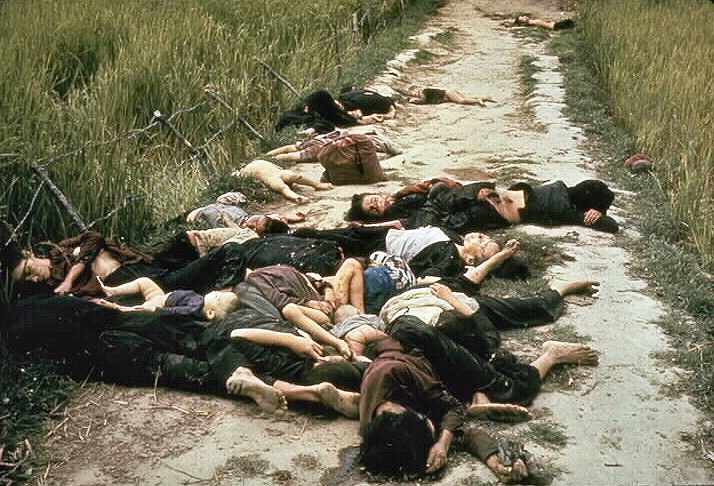 Today in History: My Lai Massacre is exposed to the American public. Please note that this article contains sensitive images of the My Lai Massacre that may be upsetting to some readers. The My Lai Massacre of 1968 is one of the most shocking and saddest chapters of the United States military’s involvement in the Vietnam War. Some people have argued that if it was not for the efforts of decorated investigative journalist, Seymour Hersh, the incident and cover up that followed might have remained buried for years? Fortunately, it wasn’t. Hersh was instrumental in exposing the story behind it to the public on November 12th 1969, after he received a tip from a source, later revealed to be antiwar lawyer Geoffrey Cowan, who worked at the time for The Village Voice. Hersh’s investigation would go on to expose that some 500 unarmed Vietnamese civilians (mainly the elderly, women and children) were murder on March 16, 1968, by an American contingent of around one hundred soldiers, known as ‘Charlie Company’. Among the chief ringleaders of the massacre was US Lieutenant William L. Calley. As Hersh searched for clues he first found an obscure article buried in the Times in a local library that briefly outlined how Calley had been charged by the Army with the murder of unarmed Vietnamese civilians. He tracked Calley down in hiding at Fort Benning and spoke to him about the massacre. Hersh also spoke to another Charlie Company soldier by the name of Paul Meadlo, who eventually agreed to talk on national television about the massacre. With the truth out, the public would learn that initially 26 soldiers were charged with crimes against the people of Vietnam, but Lieutenant Calley would be the only one eventually convicted of mass murder in 1971. They sentenced him to life in prison, but President Nixon for his own selfish reasons allegedly intervened and had him placed under house arrests. Lieutenant Calley would ultimately only serve 3 years of his sentence before being released. In 2009, Calley issued his first public apology about the massacre. “There is not a day that goes by that I do not feel remorse for what happened that day in My Lai … I feel remorse for the Vietnamese who were killed, for their families, for the American soldiers involved and their families. For the record, Calley didn’t deny taking part in the My Lai Massacre on March 16, 1968, but has always insisted that he was only following orders from his commanding officer Capt. Ernest Medina. It is a notion that many including the former prosecutor of the trial have repeatedly rejected. In the decades since the massacre efforts at reconciliation has helped to ease the pain of survivors. *This article was first published on November 1st 2016. It’s extraordinary how ignored Seymour Hersh is now in mainstream media. He still does extraordinary investigative journalism, in regard for example to the intervention in Libya, the foreign involvement in Syria, etc, but most people don’t get to read it. Hersh has had some interesting things to say about Bin Laden, Obama and the War on Terror too. I’d hate to think that some people believe he is irrelevant or a dinosaur because of his age. I don’t always agree with what he reports on, but he certainly makes you sit up straight and listen. I have two personal points of connection to My Lai. My first Army ROTC professor at UCLA was a platoon commander for the security force that supported the investigation. His opinion was that the massacre was a war crime. Years later, in 1998 while serving as the Garrison Chaplain at Fort Indiantown Gap, PA I presided over the funeral of the Brigade Commander, Colonel Oran Henderson. Sadly, too many guilty men were left unpunished, not just at My Lai, but in many other criminal actions by U. S. Forces in Vietnam. The Flanders Poppy: A symbol of remembrance and sacrifice.